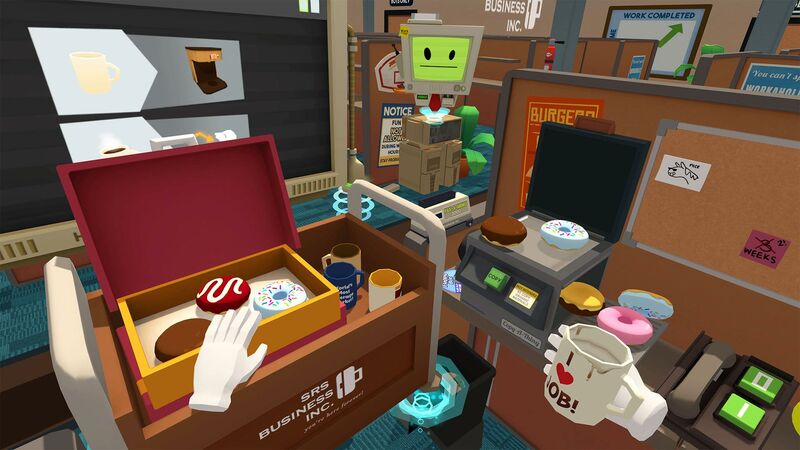 In a world where robots have replaced all human jobs, step into the &apos;Job Simulator&apos; to learn what it was like &apos;to job&apos;. 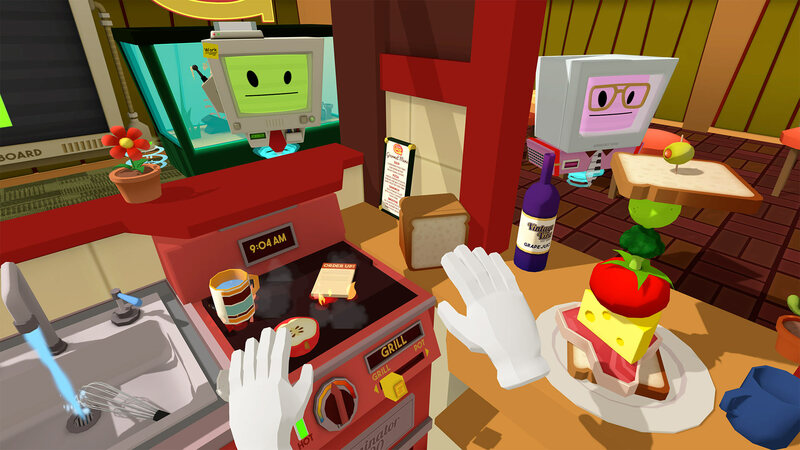 Players can relive the glory days of work by simulating the ins and outs of being a gourmet chef, an office worker, a convenience store clerk, and more. 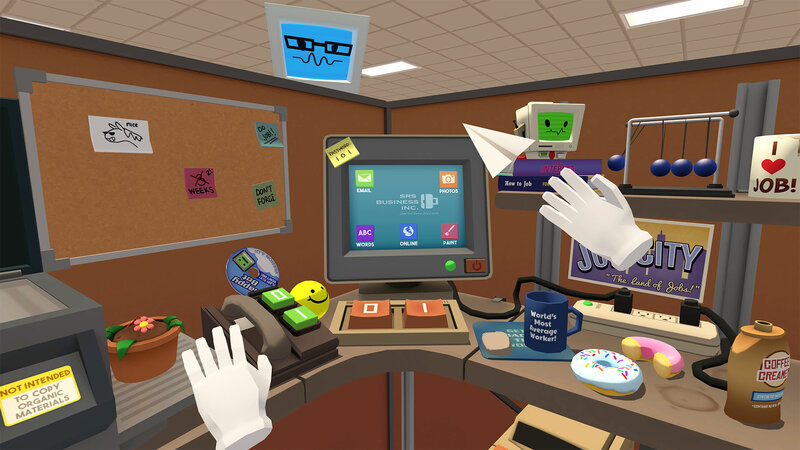 ● Throw a stapler at your boss! 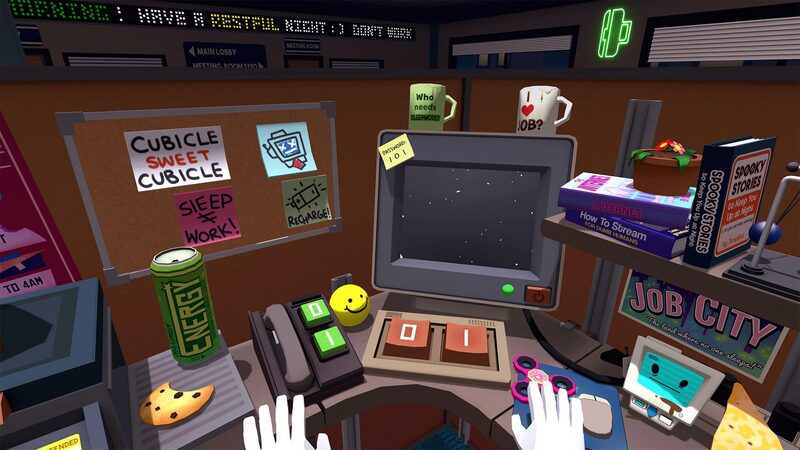 ● Learn to &apos;job&apos; in four not-so historically accurate representations of work life before society was automated by robots! 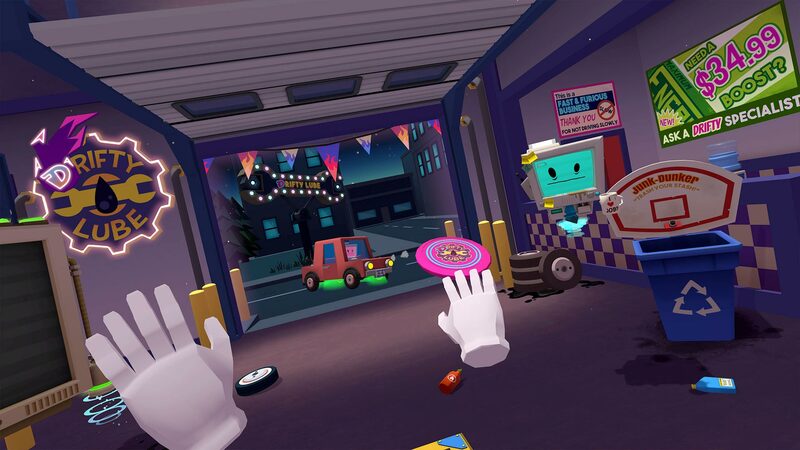 ● Use your hands to stack, manipulate, throw, and smash physics objects in an inexplicably satisfying way! ● Aggressively chug coffee and eat questionable food from the trash! 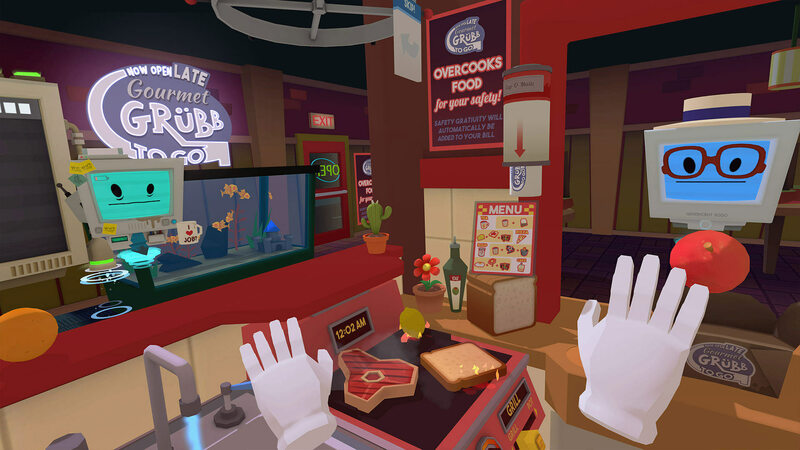 ● Able to juggle tomatoes in real life? 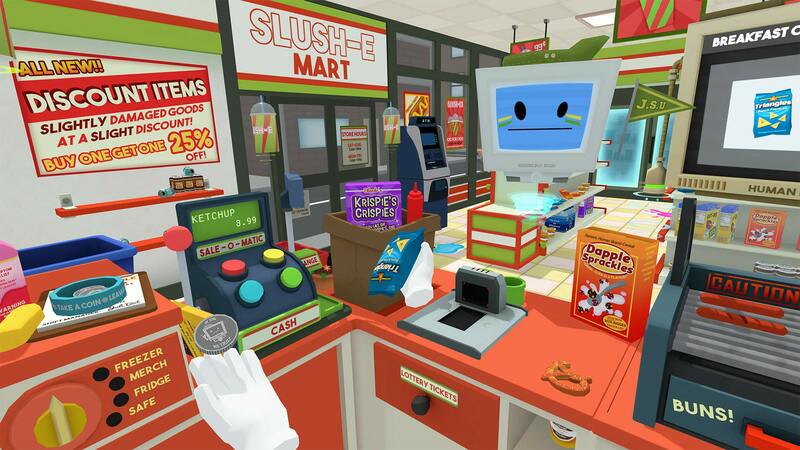 Do it in VR! Unable to juggle? 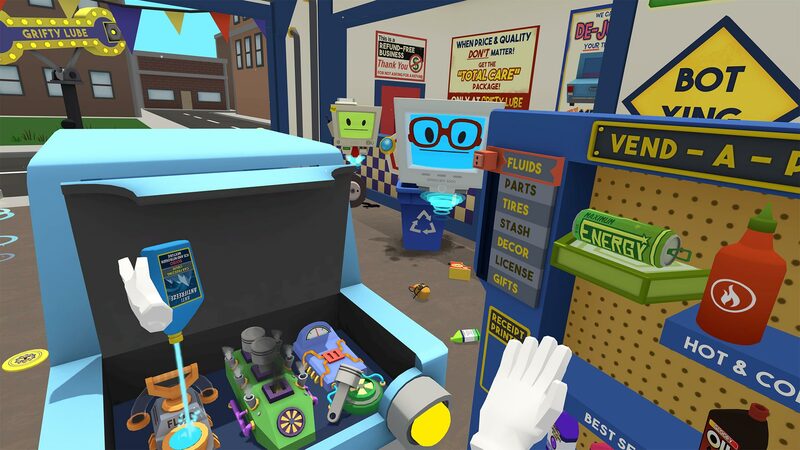 There&apos;s no cleanup required in VR! ● NEW! 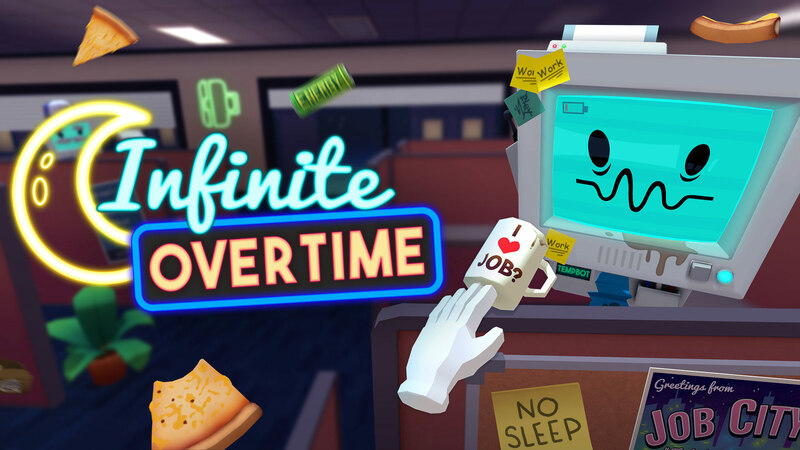 Work the never-ending night shift with the new Infinite Overtime mode! 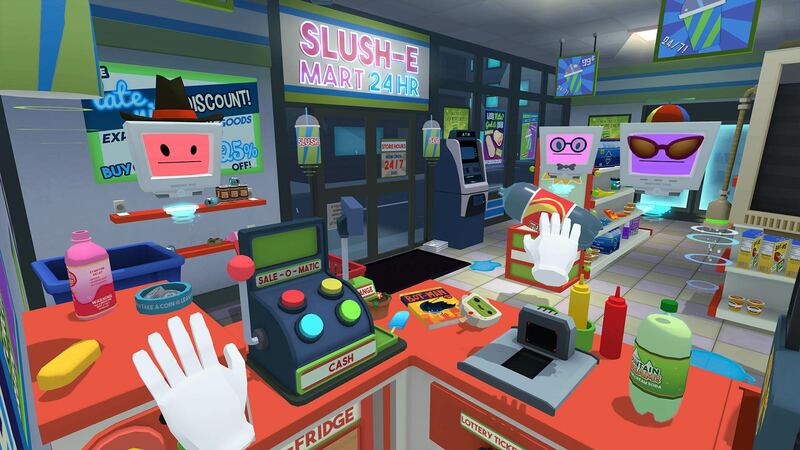 Notice: This game requires 7 feet (2.15 meters) of clear space from the camera to function.